the weather conditions/predictions are one of the first things on our minds. Will the course be affected by the Saturday morning conditions? What sort of clothing do we need to wear or take with us (just in case)? Should we allow extra time so the whole course can be checked for the safety aspect of the event? if they saw the conditions outside their windows, they would put off going out until later? The questions go on & on. want to get their fix of parkrun no matter what obstacles, so come what may!! Volunteers, runners, walkers and supporters all turn up week after week for lots of different personal reasons. 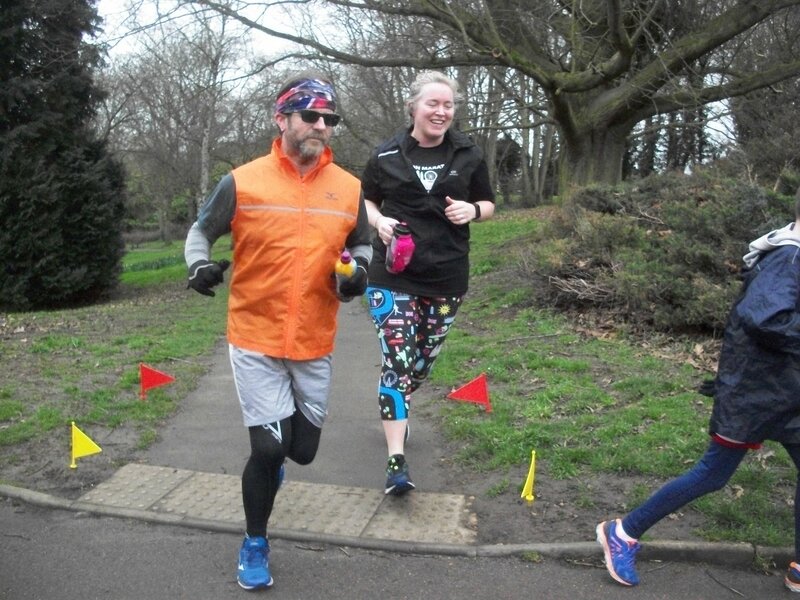 This parkrunday was no different as 232 people ran, jogged and walked the course, of whom 16 were first timers and 40 recorded new Personal Bests. Representatives of 10 different clubs took part. This was all with the knowledge that it was a couple degrees below zero at 8 o/c. Robin Peter LOZEAU • Roy STEVEN • Andy KINNEY • John GILLESPIE • Alan WELLBELOVE • Sharon WRIGHT • Alan COOTES • Steve WRIGHT • Miguel LUQUE • Sara COOMBE • Peter MILLS • Darren RAUTENBACH • Julie OSBORNE • Lynne WAIN • Will DEFOE • Robin DEFOE • Tom FREEMAN • Brenda FREEMAN • Martin MITCHELL • Laura PRIME • Pauline WEIRICH • Louise PEACOCK • Christine BOLTON • John ALLUM. As always we need to fill the roster for the coming weeks so please let us know if you can help harlowhelpers@parkrun.com and we will add you to the roster. The lovely Tracie would love to see your name on the roster and then at the event # 236. Most parkrundays their is someone we are celebrating with as they have a landmark they wish to share with us all. This week it was the turn of Ian Burton who reached the significant milestone of his 50th run. He had a big supportive group with him as relatives and friends cheered on his dedication. Well run Ian and we will be looking forward to you next 50 for sure!! Tracie has asked me to mention, as it is Easter, you are encouraged to dress up in anything appropriate this holiday!! Rabbit ears, a cotton tail, Virgin Mary, carry a large cross, etc., etc. Just a few ideas I came up with myself!! Oh yeah, and I am told, "There will be treats"!!! The female record is held by Megan EVANS who recorded a time of 19:27 on 20th December 2014 (event number 7). The male record is held by Afewerk ROSSOM who recorded a time of 15:49 on 21st July 2018 (event number 196). The Age Grade course record is held by Megan EGGELING who recorded 86.57% (27:03) on 30th July 2016 (event number 93). Harlow parkrun started on 8th November 2014. Since then 4,591 participants have completed 36,502 parkruns covering a total distance of 182,510 km, including 7,304 new Personal Bests. A total of 644 individuals have volunteered 5,193 times. 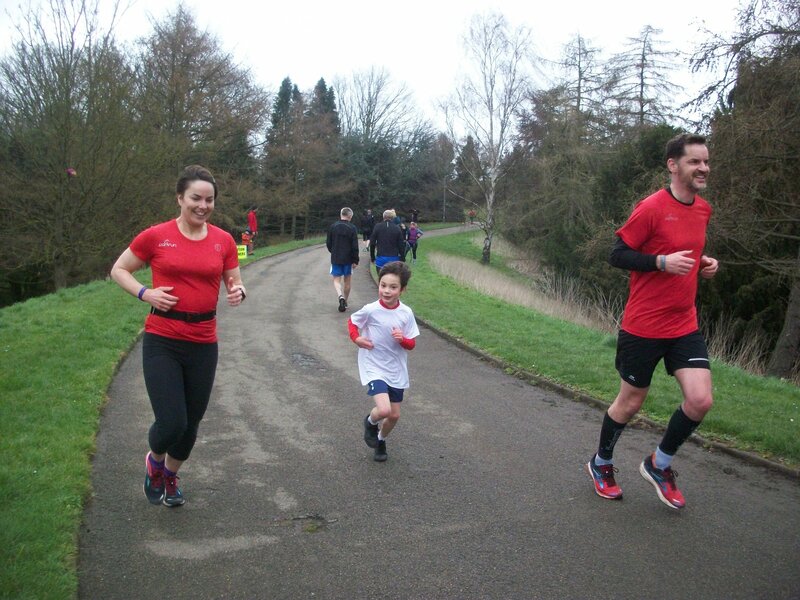 You can donate to Harlow parkrun through our "About Us" page. The donation will go to your "home run" and you can check this through your profile's update page. Are you a frequent parkrunner, or does your barcode regularly fail to scan or you're having problems with your printer? You should consider getting some ERS Barcodes. Make our scanners lives easier and be the envy of all of your parkrunner chums! Thank-you for your support over the last two weeks which I have been Run Director. All the best wishes for you all for the coming holiday. 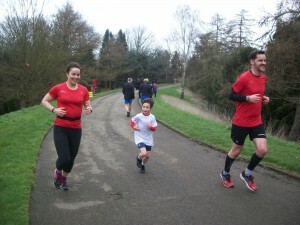 parkrun has, right from it's conception, been all about the community spirit, the spirit of "All together now"! Every Saturday(& by the way, during the week too! ), the locals come together to put on something rather special for everyone to benefit from. Behind the scenes, volunteers are getting messages out to appeal for people to fill roles so the event can go ahead at the weekend. Others are laundering the hi-viz vests or the pacer tops when needed. The core team are doing all the bits and pieces to pull it all together or making decisions so there is a smooth "running" of the event & all equipment is being repaired where necessary. 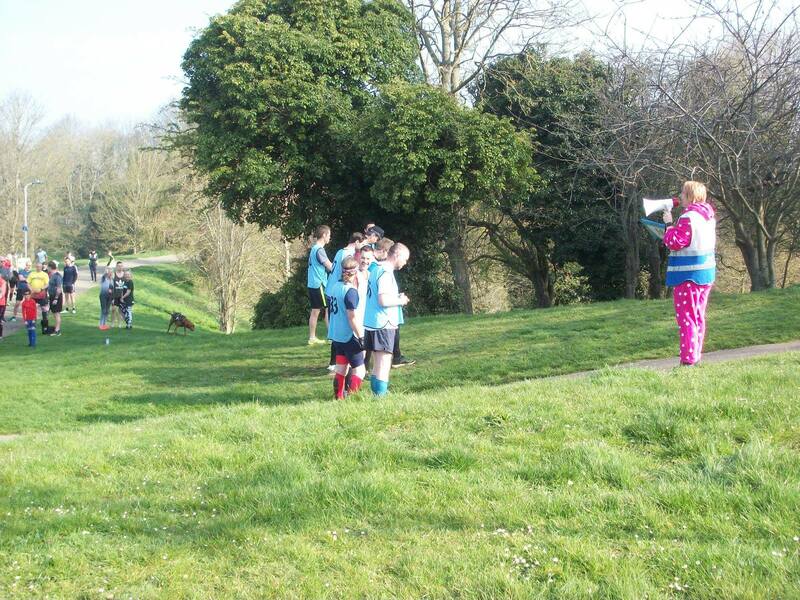 This Harlow parkrun, had even more of that spirit. parkrun H.Qs., encourage events to have local running clubs "takeover" the event and promote themselves for the opportunity to tell interested parties of what they have to offer. Harlow R.C. have been involved right from the conception of Harlow parkrun and are ever present among us week after week. As part of their takeover, they had lots of volunteers filling roles, giving advice on running and also many gave up trying to better their P.Bs. by being pacers. The feedback from regular participants was very enthusiastic and appreciative. Many asked about joining the club, which, in the foresight of parkrun H.Q., is what will benefit everyone who is interested. This week 238 people ran, jogged and walked the course, of whom 13 were first timers and 38 recorded new Personal Bests. Representatives of 9 different clubs took part. Don't forget, if you know you are running your 10th (for juniors only), 50th, 100th, 250th parkrun, or even your 25th volunteering stint, please do let us know so we can give you the shout out you deserve. Providing cake to celebrate is not compulsory but very nice! Harlow parkrun started on 8th November 2014. Since then 4,575 participants have completed 36,270 parkruns covering a total distance of 181,350 km, including 7,265 new Personal Bests. A total of 643 individuals have volunteered 5,169 times. 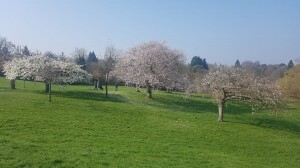 A glorious day for a parkrun - bit warm for pyjamas but a huge thanks to all who took part and a big "fingers crossed" that someone at Harlow is one of the lucky 5 winners of one of those mattresses!! Of course, as usual, we could not put on such a fab event without our volunteers and so we extend a massive "Thank you" to all 30 volunteers who gave up their time to help us out. Afe, our course record holder, made me laugh this week when he finished (without a drip of sweat in sight) - he said he didn't want to run too fast as he had a bit of a cough - personally, I think 16:34 is still pretty darn fast but then he said "If I was going to go for a PB, I wouldn't wear these shorts" - so baggy shorts = taking it easy - tight shorts = going for it. I will remember that for next time! Harlow parkrun started on 8th November 2014. Since then 4,562 participants have completed 36,032 parkruns covering a total distance of 180,160 km, including 7,227 new Personal Bests. A total of 640 individuals have volunteered 5,128 times. I hand over the RD reins to Robin for the next 2 weeks and I won't see you all again until 27th April or possibly even the 4th May as I am venturing over to Basildon to celebrate their 5th birthday this Saturday (if anyone fancies being a parkrun tourist, the more the merrier) and then I am busy volunteering for a couple of events, followed by my choir concert in Chingford on the 27th April..... all go go go. Anyway, enough about my social calendar but if you do want to come to Basildon OR my choir concert, give me a shout. 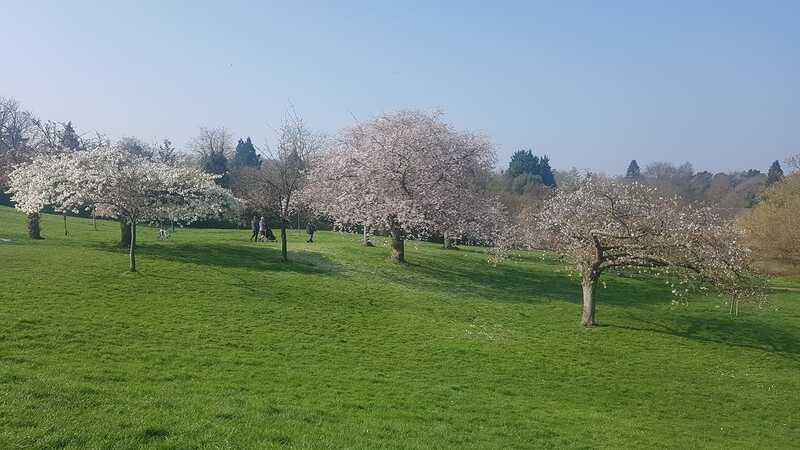 What a lovely day we had for running round the park and 244 agreed as they ran, jogged and walked the course, of whom 20 were first timers and 67 recorded new Personal Bests. Of course, this could not have happened without our volunteers and so we extend a massive "Thank you" to all 24 volunteers who gave up their time to help us out. As always we need to fill the roster for the coming weeks so please let us know if you can help harlowhelpers@parkrun.com and he will add you to the roster. This Saturday, it is pacer week so if you are looking to achieve a new PB, you may want to come along and chase the pacer. We also welcome back our SUMMER ROUTE - that means the pitch and putt hill is BACK as is the Vee turn We know you all missed that lovely little hill really. Harlow parkrun started on 8th November 2014. Since then 4,531 participants have completed 35,758 parkruns covering a total distance of 178,790 km, including 7,195 new Personal Bests. A total of 638 individuals have volunteered 5,098 times. Looking forward to seeing you all again this coming parkrunday for more fun in the park. Well Done to everybody this week, As far as I know, we didn't lose anybody down any holes!! We still currently have works on our course, but we will let you know if there are any issues later in the week. It was really difficult conditions this weekend, and I could see the amazing effort that you had all put in from how out of breath you were when you returned. I was Gutted I hadn't ran myself ......NOT! I am noticing lately, That more and more of you are coming forward to volunteer, and are also doing your bit by keeping us up to date with any problems on the course etc. I really LOVE this, because it shows you care about OUR parkrun, and We are all here to help each other, That's something parkrun is all about. This week 223 people ran, jogged and walked the course, of whom 16 were first timers and 30 recorded new Personal Bests. Representatives of 13 different clubs took part. Today's full results and a complete event history can be found on the Harlow parkrun Results Page. If you know you are running your 10th (for juniors only), 50th, 100th, 250th, 500th parkrun or even your 25th volunteering stint, please do let us know so we can give you the shout out you deserve. Providing cake to celebrate is not compulsory but very nice! I shall now hand over the Run Director Duties to Vicky. I shall See You there Saturday, where I shall join in for a run. Remember to give me a shout out on the way round!! Harlow parkrun started on 8th November 2014. Since then 4,511 participants have completed 35,514 parkruns covering a total distance of 177,570 km, including 7,128 new Personal Bests. A total of 635 individuals have volunteered 5,074 times.